Orange mango popsicles are so refreshing and really simple to make. They’re a great summer frozen treat and this easy popsicles recipe is healthier, because there are no added sweeteners! I love DIY popsicles for the kids without added sweeteners. You can make so many different fruit juice combinations, the possibilities are endless. I love this combo of orange and mango because the flavors compliment each other beautifully. Juice oranges and pour liquid through a mesh sieve to separate most of the pulp and the seeds. Add strained juice to the mango juice and stir until mixed. Pour into popsicle molds and freeze until set. 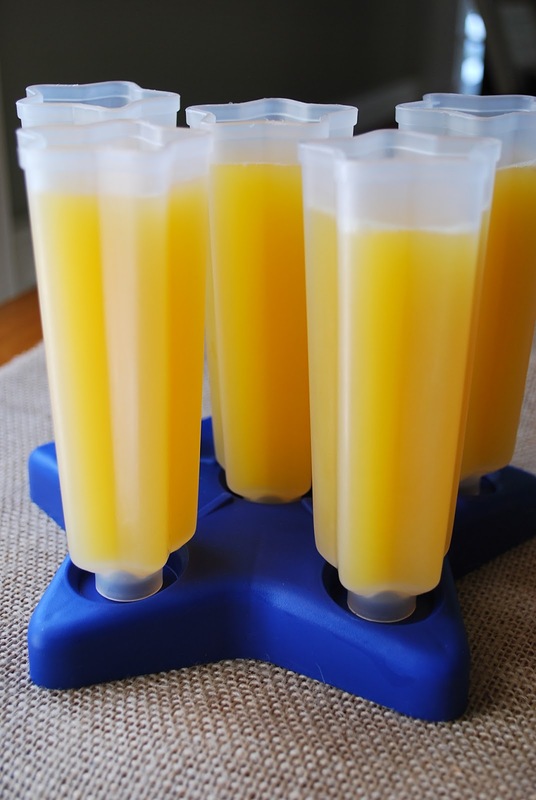 Want to make more frozen healthy dessert recipes like these orange mango popsicles? Orange mango popsicles are so refreshing and really simple to make. They're a great summer frozen treat and this easy popsicles recipe is healthier, because there are no added sweeteners! 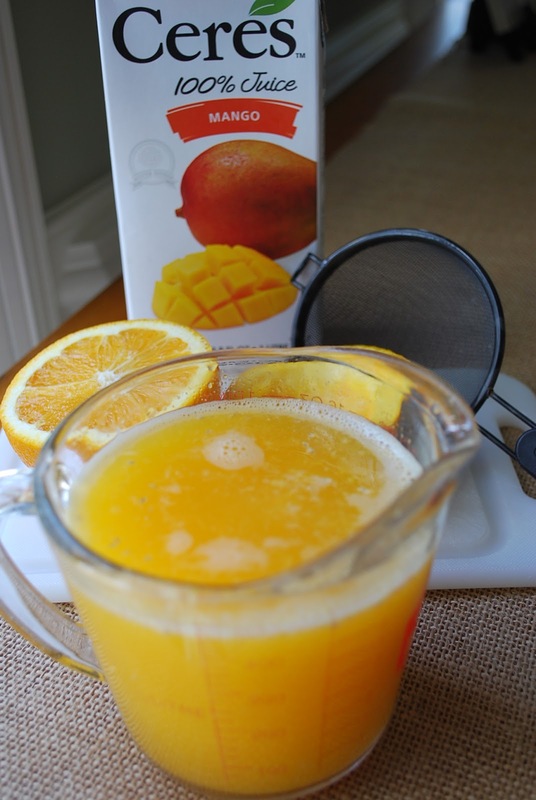 Add strained juice to the mango juice and stir until mixed. Pour into popsicle molds and freeze until set.